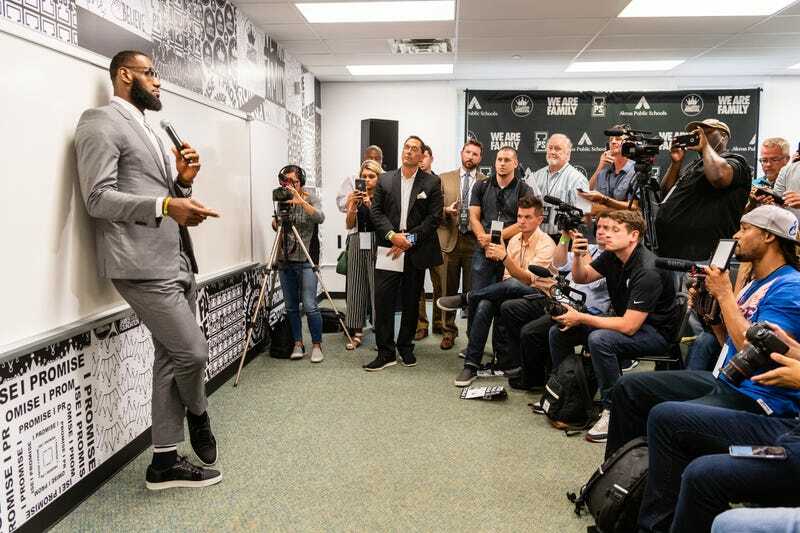 USA Today reports that his I Promise School, the public school he founded for at-risk students in conjunction with his own LeBron James Family Foundation and Akron Public Schools, is off to an excellent start. In layman’s terms, the above means the students are doing the damn thang. I think it’s safe to call the year-round school—which provides education, career and emotional support for parents, as well as daily breakfast, lunch and snacks for students—a resounding success thus far. The bulk of the school year runs from August to May, but students are required to participate in a seven-week summer-school program. Next year the school will expand to include fifth grade and plans to continue adding grades until it has grades 1st through 8th by 2022.